Dr Joseph Ajaka MBBS (Syd), is a skilled and respected Liposuction, Fat Transfer and Injectables expert. 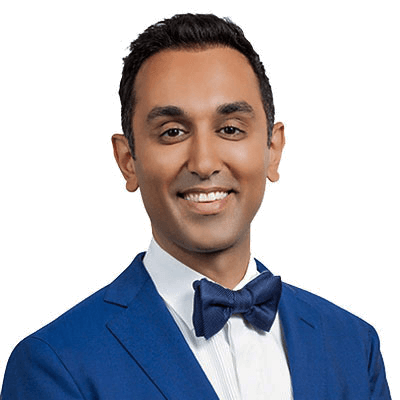 He is regularly seen sharing his experience and expertise on television, radio, in print and at major cosmetic surgical conferences. With over fifteen years experience in cosmetic surgery, Dr Ajaka is a leader in his field – offering his patients the safest, most effective and latest innovations in cosmetic surgery. Dr Ajaka has an amazing eye for detail and he uses his artistic flair to create natural, classic beauty. His passion is to maintain and highlight the natural beauty of his clients through various minimally invasive procedures. Patients have found Dr Joseph Ajaka to be genuine, approachable, and easy to communicate with. Dr Ajaka is considered an expert in the field of body sculpting and cosmetic injectables. Dr Ajaka and Cosmos Clinic were the first practice in Australia to offer the non-invasive fat freezing treatment, CoolSculpting in 2010; and were also the first clinic in New South Wales to own a Vaser Liposuction machine. He currently owns 12 Vaser systems (the most in the world) and 6 CoolSculpting machines. Since doors opened, Dr Ajaka and his team of medical professionals have performed more than 100,000 cosmetic treatments, 15,000 liposuction procedures and 5,000 CoolSculpting applications. In 2010, Dr Ajaka was appointed as an Allergan National Trainer and a member of the Allergan Advisory Board. Allergan is the largest provider of anti-wrinkle injections and facial rejuvenation products in the world, and this prestigious appointment is handed to less than 20 doctors nationwide, which certifies clinical expertise in the use of Anti-Wrinkle injections and Dermal Fillers. The role involves the trial of new products to understand their effectiveness as well as training other doctors across Australia. Further, in 2011 Dr Ajaka was appointed as the only doctor outside of North America on the exclusive Sharecare Panel of Doctors, headed by the renowned Dr Oz. The Sharecare Panel consists of expert doctors across the USA, and allows them to provide an interactive, social Q&A platform designed to greatly simplify the search for quality healthcare information and help consumers live their healthiest life. The appointment of Dr Ajaka to the panel is a reflection of his knowledge in his field. 5th International Biobridge Foundation Conference in Venice, Italy, 23rd to 24th September 2013. 2014 Aesthetic Plastic Surgery Conference, South Korea. In September 2016, Dr Ajaka was 1 of 8 doctors in Australia invited to Los Angeles to assess the best way to introduce Belkyra, a new fat dissolving solution from Allergan, into the Australian market.